It's almost like you couldn't have scripted this attack more perfectly. 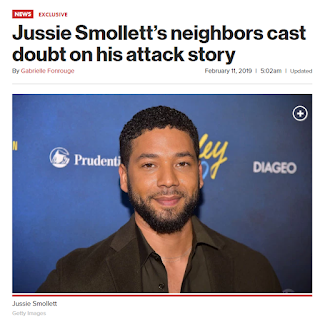 Meanwhile, various right-wing media outlets are reporting that Smollett's neighbors aren't buying his story of a hate crime outside their luxury building -- and noting that Chicago police said Sunday that Smollett has yet to turn over data from his cellphone to verify that he was on the phone with his music manager, Brandon Moore, when he was allegedly attacked..
Conservative pundit John Zielger had a more nuanced take HERE. 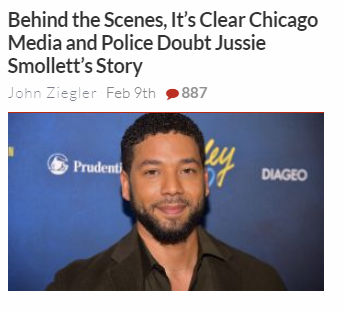 UPDATE: Media outlets are reporting that Smollett has finally provided his phone records to the Chicago Police Department, but it still sounds like they’re hiding something. 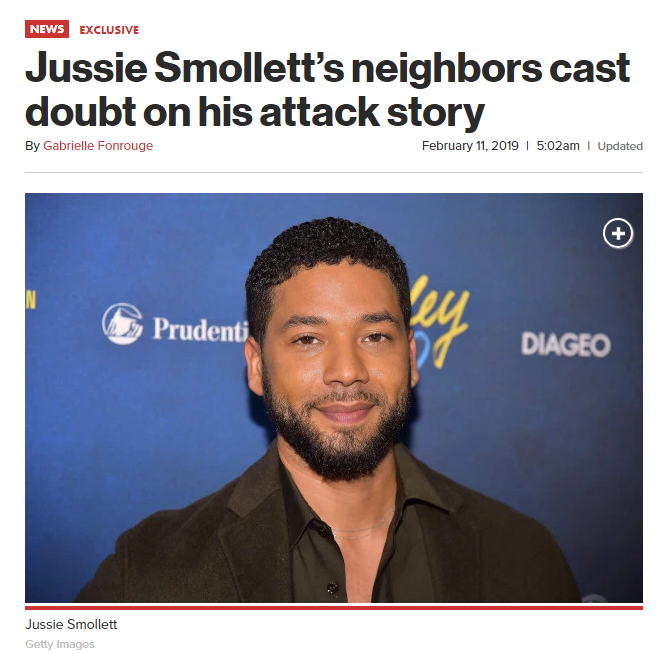 “We have no reason to doubt the statements, but for a criminal investigation, we need to independently confirm the phone records,” Chicago police spokesman Anthony Guglielmi told The Post on Sunday afternoon.